Xiaomi is following in the footsteps of many OEMs and releasing its apps onto the Play Store for faster updates, which avoids the long waits of firmware upgrades. 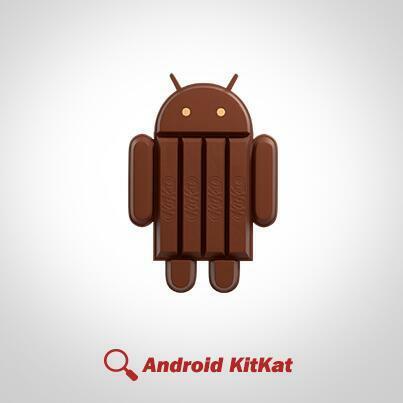 However, Xiaomi is doing something differently: it's allowing users of other brands' devices to use its apps. 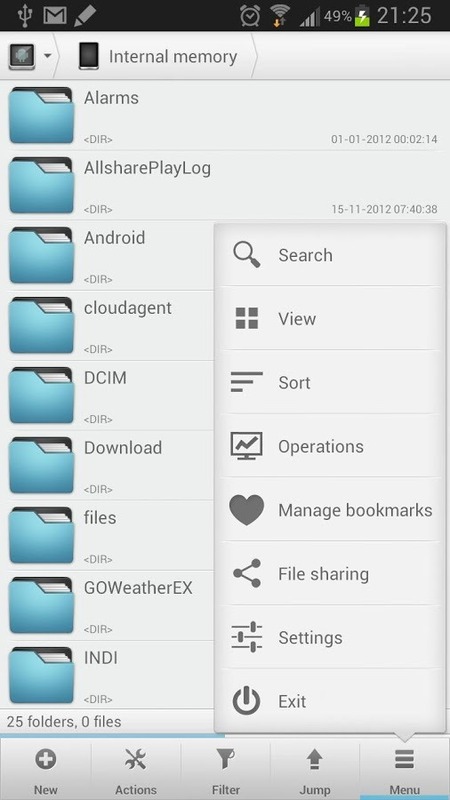 After the capable Mi Calculator, now we have Mi FileExplorer on the Play Store. 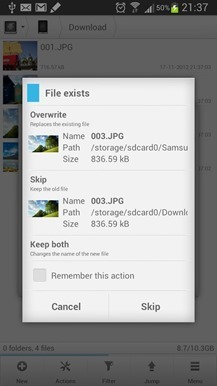 The app is still marked as "Unreleased" so it's still in beta, but from my tests it seems to work quite well. 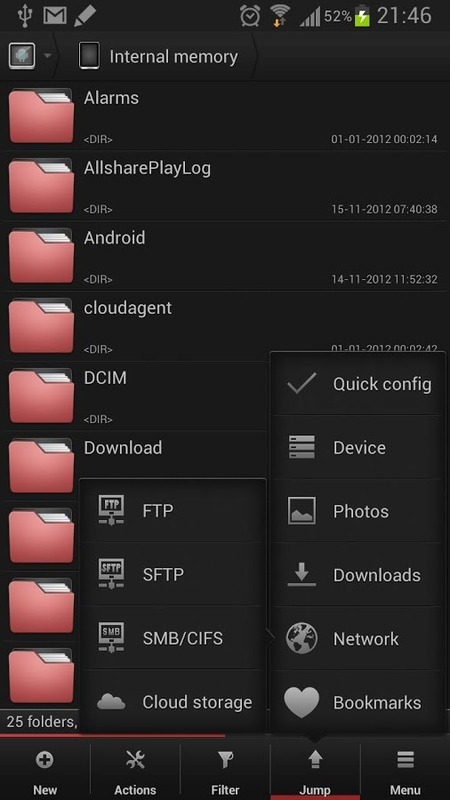 Mi FileExplorer reminds me of the built-in file browser I've seen on my Samsung and LG devices: there's a regular directory browser, but also a per-type categorization that lets you view all your stored images or videos or APKs or documents (and other types) regardless of which folder they're in. 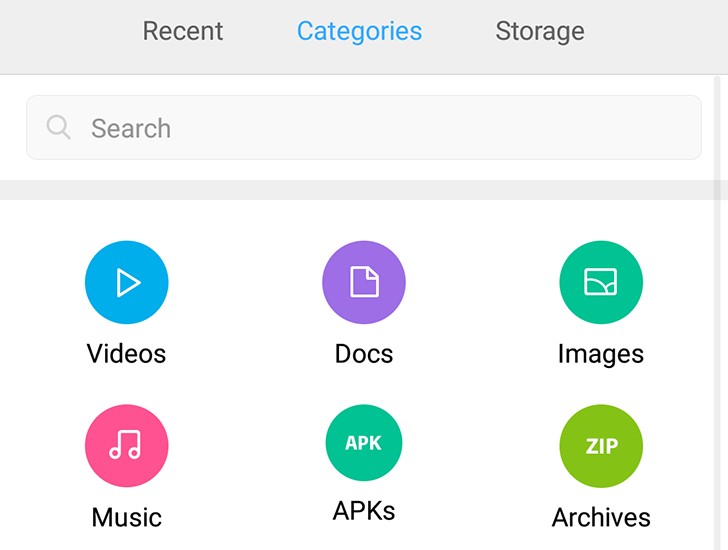 In M, Android introduced a much needed file explorer that allowed users to browse their internal storage's directories, copy items, share them, open files that they may not have been able to access otherwise, and find specific ones they're looking for, all without the need for a third-party file explorer. 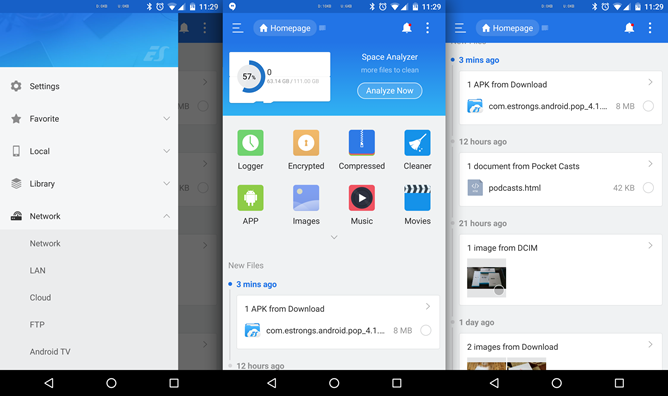 This integrated browser is getting even better in Android N with a lot of new functionality and the addition of more powerful actions that weren't available in the previous iteration. 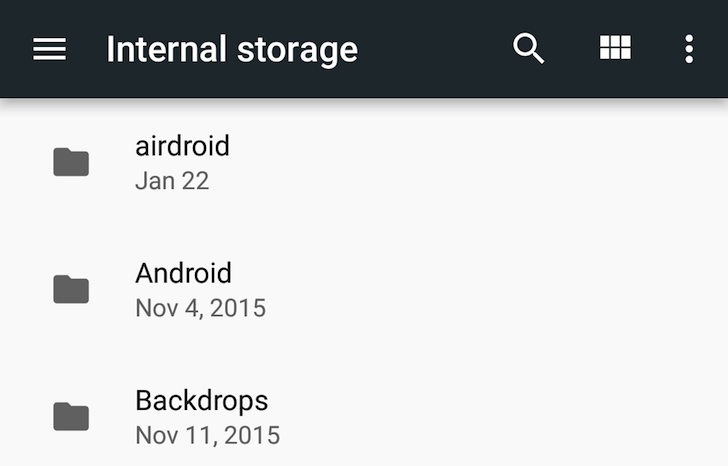 The browser is still hidden in Android's Settings > Storage > Explore, and once you open it, you'll see a similar interface to the one available in Marshmallow, but with lots of new features. 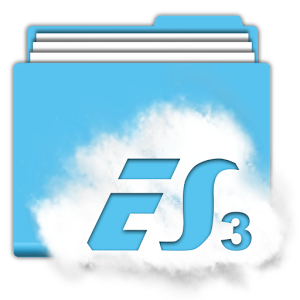 Hey, remember those many moons ago when ES File Explorer, one of the more popular file managers on Android, released a Material Design user interface update? You should, because it was exactly one moon ago, back at the beginning of August. After a relatively quick closed beta session (which Android Police apparently spoiled by writing a story about a pre-release version uploaded to APK Mirror - sorry), the update is now live in the Play Store as app version 4.0.2. Go download it. The changes that Google made to the way that Android uses external storage (read: MicroSD cards) in KitKat have been contentious to say the least. 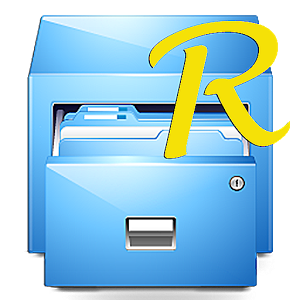 A few of the more widely-used file explorer apps have utilized a loophole in the Media Scanner service to restore at least some of the more widely-used functions for accessing and modifying files, and now the popular Solid Explorer has done the same. According to the changelog for version 1.6, the work-around should function for Samsung devices that have been updated to Android 4.4, though the new Galaxy S5 is a notable exception. 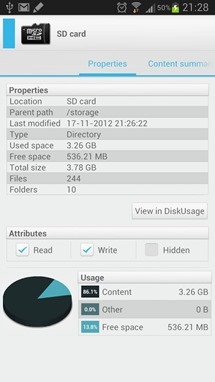 We've had limited success in our own tests: on a KitKat-equipped Galaxy Note 3, Artem was able to rename and copy files on the MicroSD card without any kind of root-enabled trickery, but deleting files on the card didn't work. 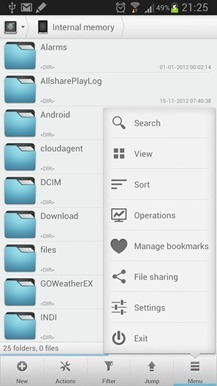 File manager apps are legion on Android. 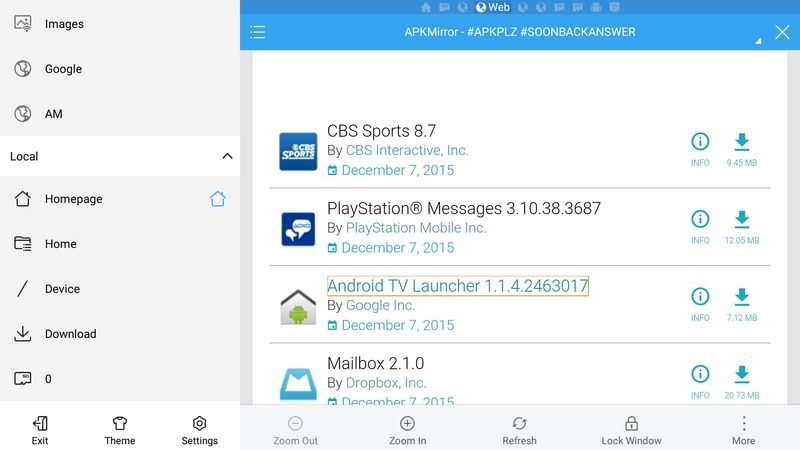 Whether you want something with a ton of features or just a pretty UI, it's out there. 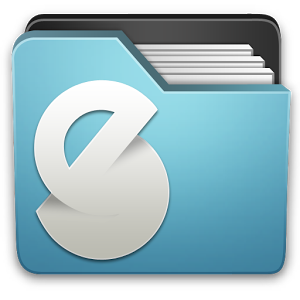 One of the top file managers is Solid Explorer, and it's just gotten a nice update to version 1.5. 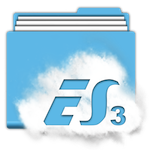 You can stash your files in more places than ever with this one.